As an avid football fan, wearing football jersey bearing the same name as your favourite footballer is the closest we can get to be “near” them. And if your favourite footballer happens to be the same as mine, Cristiano Ronaldo, I guess you would share my earlier sentiment. However, we got a little more “closer” to Cristiano Ronaldo recently! Huge thanks to Nike as we have been given a pair of Nike Mercurial Superfly 360 VI Elite and Nike Phantom VSN Elite football boots to review. 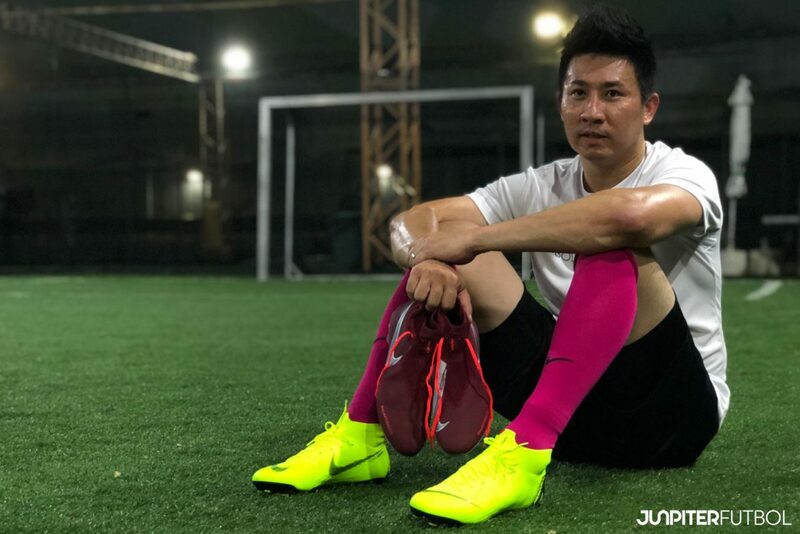 So not only I am wearing the same football jersey as Cristiano Ronaldo, I am also wearing also the same pair of football boots which my idol is wearing on the pitch! First impression counts? Absolutely in our case. Literally, it is love at first sight! The moment we unboxed Nike Mercurial Superfly 360 VI Elite, the clean-looking loud color actually melted my heart instantly. Even though I have not unboxed Nike Phantom VSN, I know that my favourite pair among the two has to be that first pair which I have unboxed. True enough, my heart still sway towards Nike Mercurial even I have unboxed Nike Phantom. So Nike Mercurial won hands down on the appearance. Next is the laces. Nike Phantom’s are neatly tucked and hidden underneath the skin while Nike Mercurial’s are of the more traditional type revealing the stylist criss-crossing on the surface. Although both pairs do give me the full-feet-wrapping support, the adjusting of laces from the Nike Phantom seems to be more challenging at times as compared to Nike Mercurial. One tip on wearing the boots, you really have to loosen the laces before you can insert your feet in! In terms of overall feel, I just can’t agree more that the control, accuracy and the comfort of both Nike Mercurial and Nike Phantom are just too good to be true. With my new pair of socks, amazingly our feet did not lose grip in the boots at all. The freedom of executing moves and shooting in both Nike Mercurial and Nike Phantom gives us the extra confidence on the pitch as well. Both Nike Mercurial & Nike Phantom are amazing boots. I have tested out both and the above are my honest review. Now it’s your turn to try them out. And be “closer” to your favourite footballers! Read up more on Nike Mercurial Superbly 360, Click Here. Read up more on Nike Phantom VSN, Click Here.